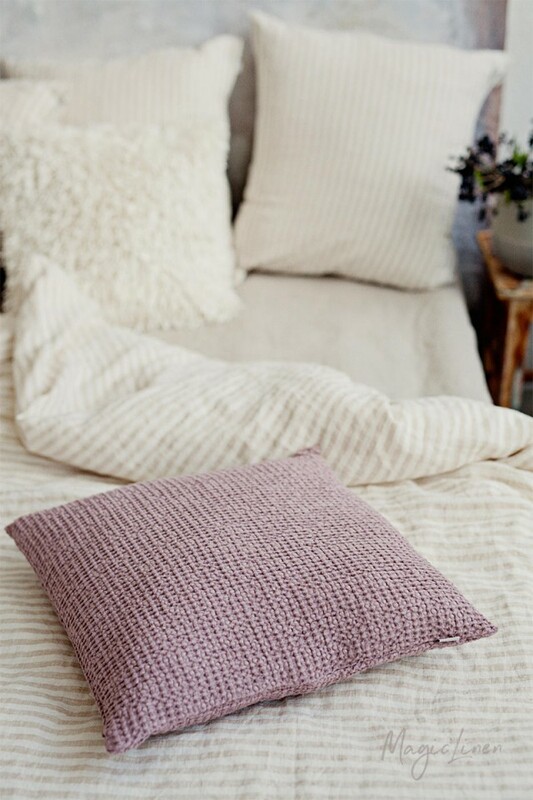 Linen-cotton blend throw pillow cover in light gray, beige, and woodrose (dusty pink) colors. 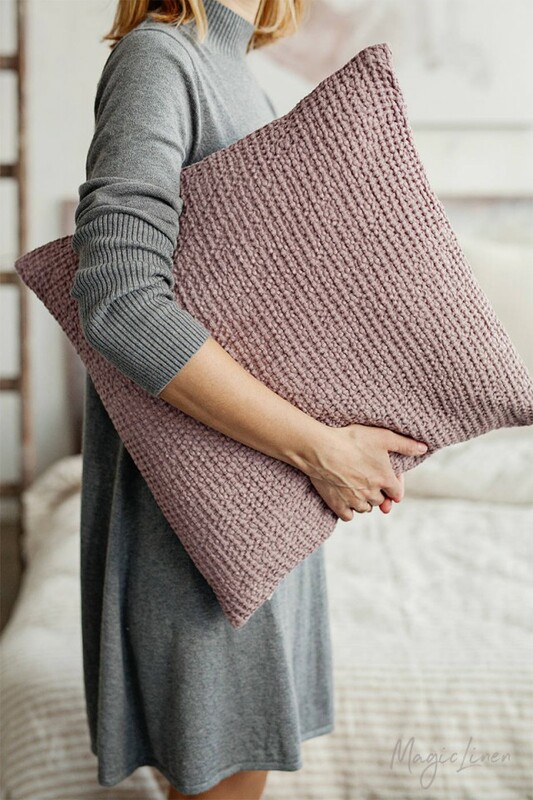 Spruce up your living room or bedroom with this cozy-looking throw pillow in a puffy waffle weave. The natural properties of linen and cotton guarantee softness and comfort. 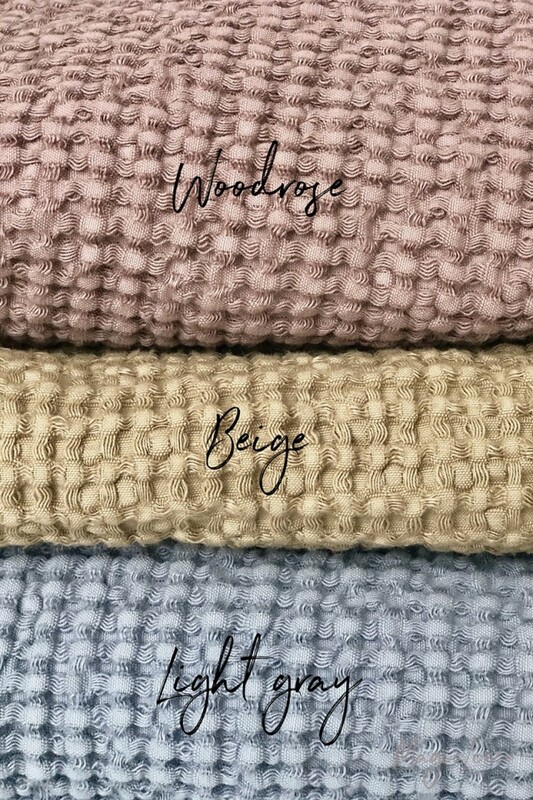 Style it with waffle blankets from our shop.